I love marble as much as the next person. Its sleek, swirly surface is just about as elegant as it gets for countertops, tables, and décor. 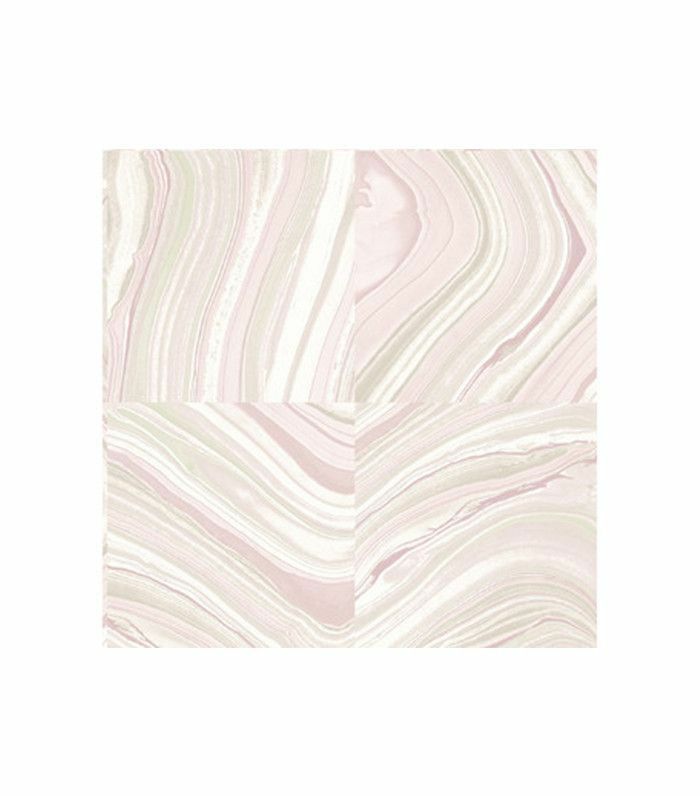 But after awhile, all-marble everything can start to feel a little bit vanilla, so lately I’ve had my eye on other stones with a little more personality. And I have a new favorite: agate, marble’s more colorful crystalline cousin. With a rough exterior encasing layers of shiny interior color, agate has an earthy appeal that’s less about polish and more about natural sparkle. 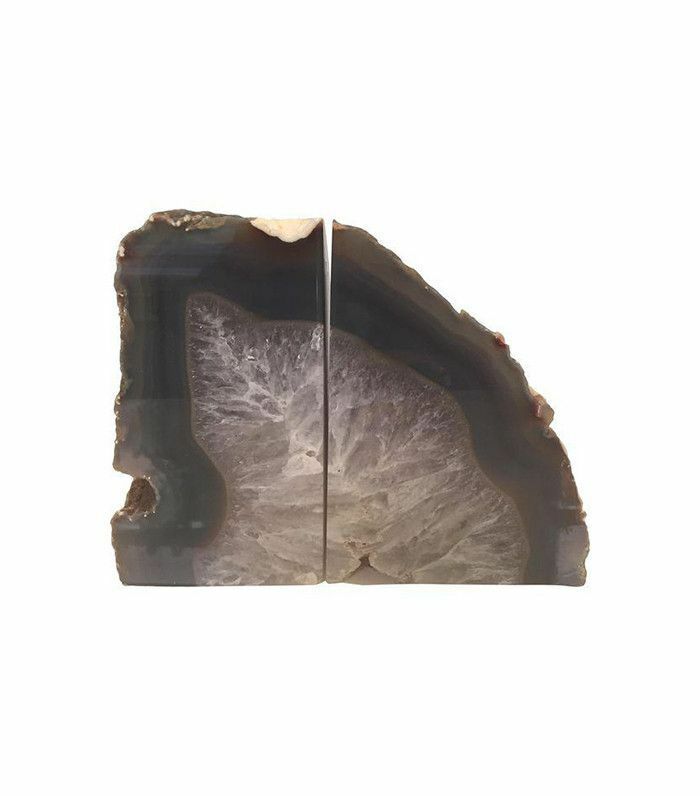 Each of these gemstones has its own unique shape and color story, making agates an ideal choice for decorative objects, bookends, coasters, tables, and lamps. So the next time you’re looking to make a semiprecious moment with your bookshelf décor, consider going rough around the edges. 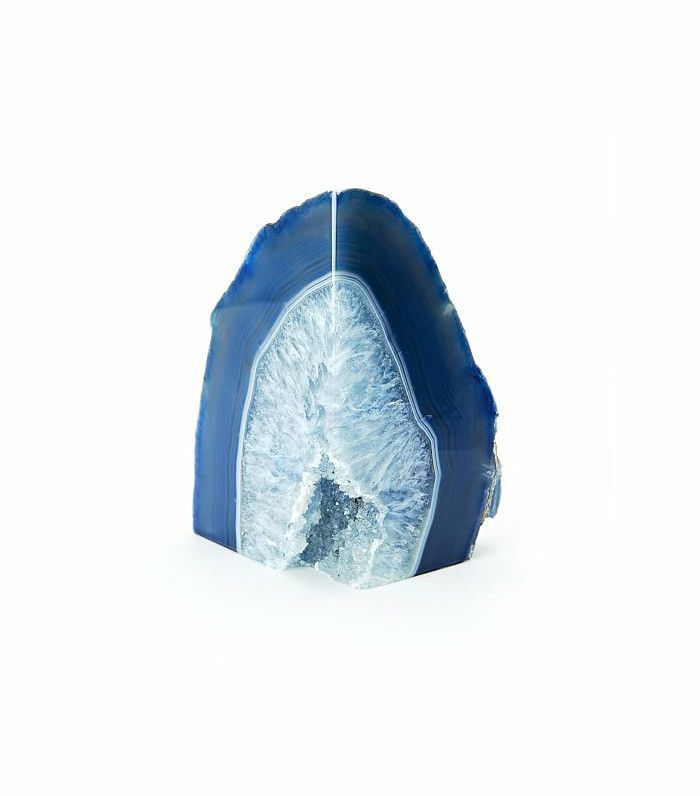 Scroll for 10 rooms with agate décor that will convince you to roll with a new kind of rock. In a chic living room shelfie, agate bookends make a dimensional style statement among eclectic, well-traveled accessories. On this bookshelf, gemstones are a natural choice to bridge metallic shimmer and rustic wood touches with organic flair. 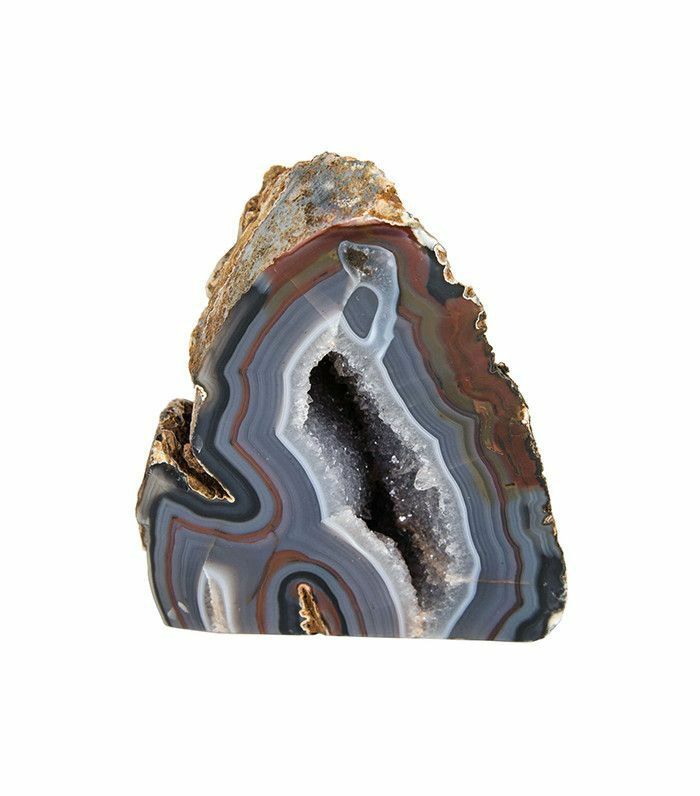 Agate is often credited with metaphysical properties, so why not give your nightstand a cosmic advantage? 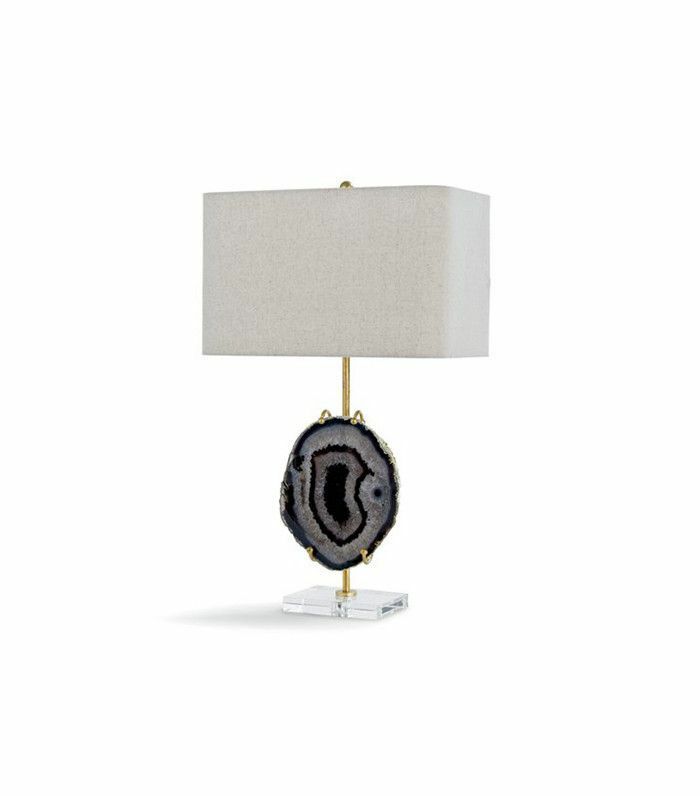 This agate lamp’s soothing jewel-toned color and natural abstract shape work together for a perfect bedside manner. The agate wallpaper in this dining room is both sleek and earthy. 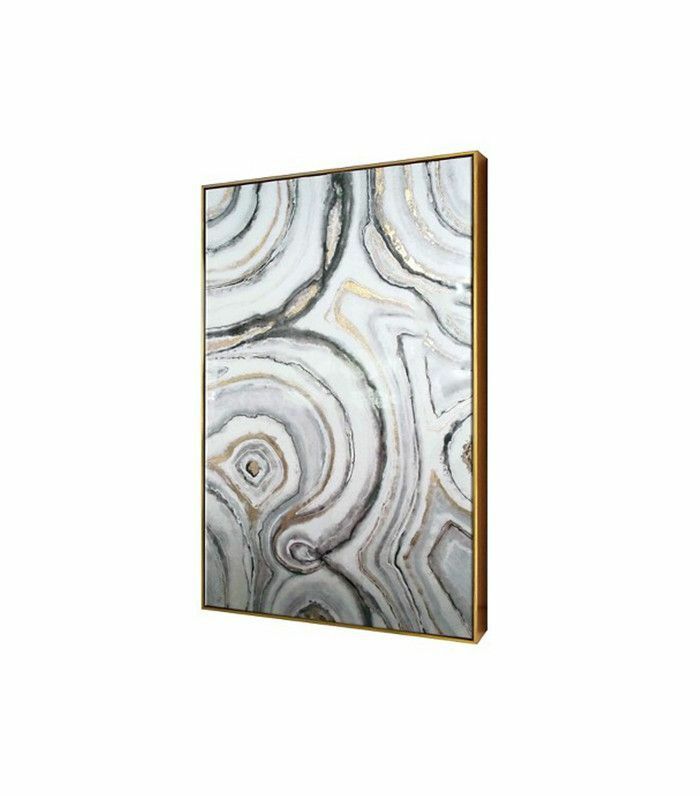 The natural pattern created by the agate’s rings is similar to that of marble’s swirls, but I’m partial to the agate’s streakier texture and richer color tonalities. For award-winning bookshelf style, agate is always a worthy nominee. 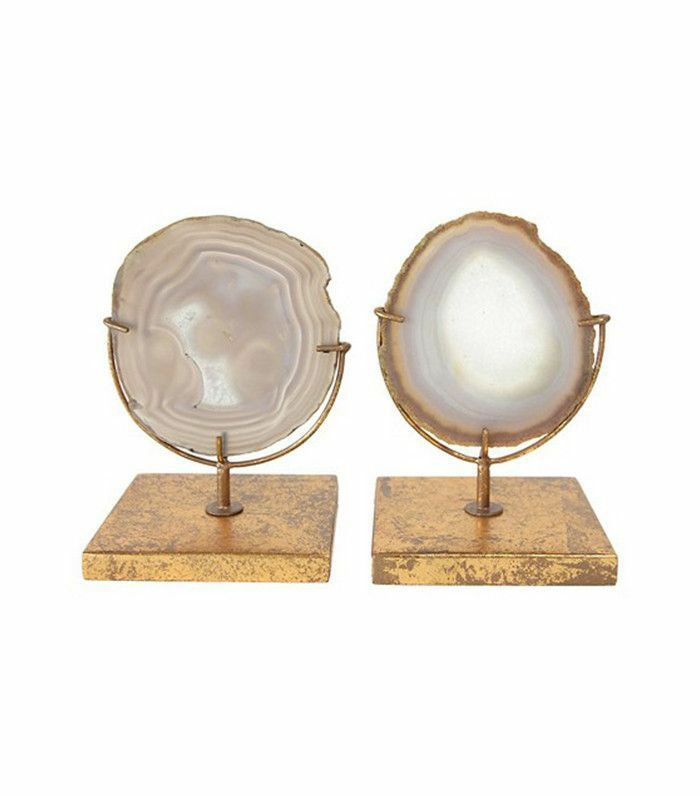 Used as bookends, these stones are literally and figuratively top-shelf, balancing shiny Hollywood-inspired brass accents with down-to-earth vintage vibes. 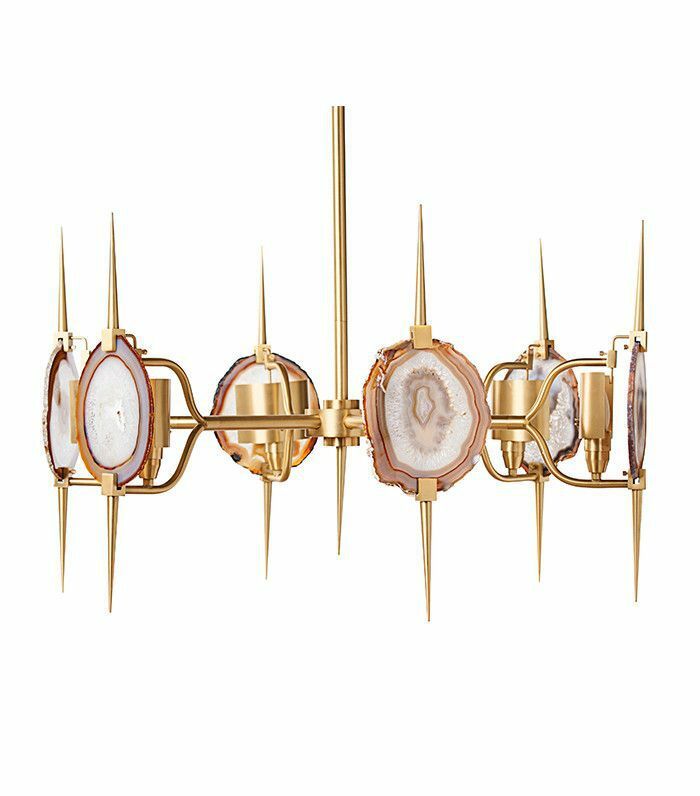 The agate in this hallway adds jagged crystalline texture to a polished, glam console to create dramatic contrast. Maintaining a tight earth-tone color palette keeps these eclectic curiosities feeling connected. 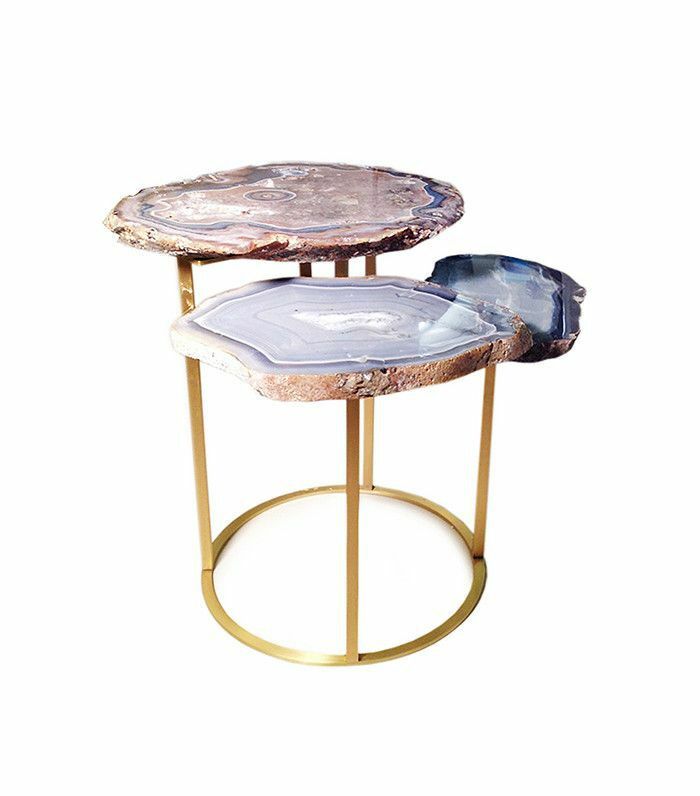 Agate coffee tables and side tables make for fun feminine accents, with rocky edges adding texture play to soft plush seating. Because any girly space can use a little extra swirl and sparkle. What better way to display your statement stones than standing them at attention? The gold-meets-geode dynamic of this bookshelf helps this trio of gems shine. If you’re looking to out-chic all other agate accessories, look no further than the chandelier in this walk-in closet. The gems are just the right slice of Mother Nature to keep the space feeling warm, natural, and comfortable. 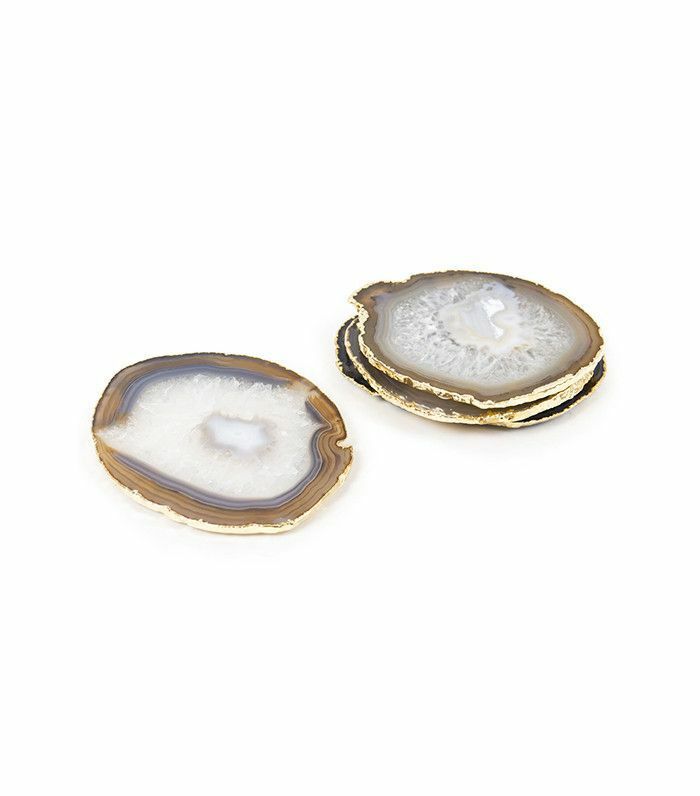 The agate-inspired pattern on this desktop decorative box reflects a more understated approach to showing off your taste in stones. The concentric circles and tonal lines bring all the pattern the shelf needs. In a living room with a more coastal chic aesthetic, agate is easily at home among emerald and seafoam shades. On this bookshelf, a multicolor agate helps to connect oceanic blues and greens with the tan and brown shades in handmade pottery and driftwood. What’s your favorite decorative stone? Share your styling stories below.